The story of homeschooling in Colorado in the 1980s is really two stories. State law allowed for homeschooling with approval of the State Board of Education, but many homeschooling parents found the requirements of the state board too intrusive. Some homeschooling parents enrolled their children in private schools while educating them at home, but the Colorado Department of Education contested the legality of this practice. By the time the 1980s drew to a close, the legality of educating a child at home under the supervision of a private school had been settled and as a result of the state’s 1988 homeschooling law homeschool parents were no longer required to obtain state board approval. 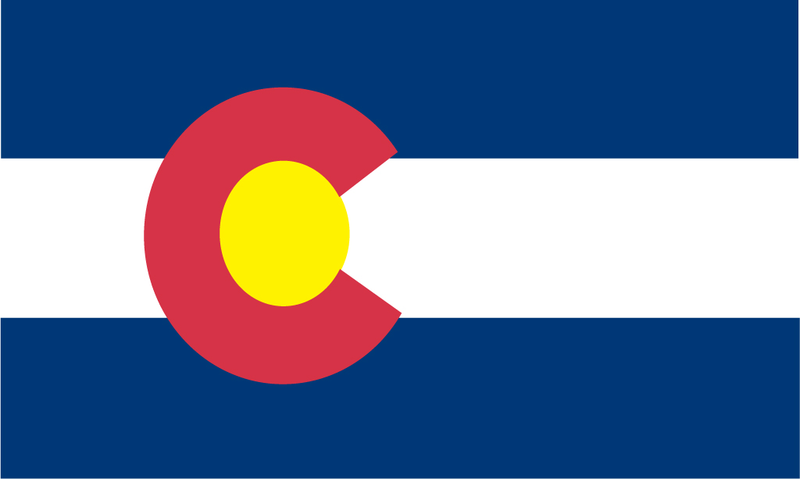 In 1973, the Colorado legislature revised its compulsory attendance law to exempt from school attendance any student “being educated at home by a parent under an established system of home study approved by the state board [of education].” Prior to 1980, the state board had no official requirements for home study programs, but in 1980 the state board adopted rules and regulations for administering home study programs. These rules required parents without teaching certificates to use a state-approved correspondence course or chose their own curricula with the permission of their resident school district. (Parents with teaching certificates could homeschool under Colorado’s private tutor provision.) Some school districts refused to approve home study programs, and while families in these districts could appeal to the state board they would then be required to use a state-approved correspondence course. Many homeschooling parents were not happy with being required to either use a state-approved correspondence course or gain the approval of the local school district. Some of these parents simply homeschooled without seeking approval, and several dozen families faced truancy charges over the course of the 1980s. In some cases parents argued that their religious beliefs forbade them from seeking state board approval, and in other cases they argued that the state constitution gave them the right to homeschool and that the state board had no jurisdiction over them. Who is enrolled for a minimum of one hundred seventy-two days in an independent or parochial school which provides a basic academic education. “Basic academic education” for the purpose of this article means the sequential program of instruction provided by an independent or parochial school. Homeschool parents felt that the new wording settled the legality of enrolling children in a private school and educating them at home, but in 1985 the Colorado Department of Education notified school districts that “merely enrolling in a private or parochial school does not automatically meet the compulsory school attendance requirements of the law” and that “the parent would have to utilize the statutory provisions for home study to fulfill the compulsory attendance law.” In other words, the CDE argued that parents enrolling their children in a private school and educating them at home still counted as homeschoolers and must still obtain state board approval. While some homeschooling families continue to make use of this legal option today, children who are taught at home but enrolled in a private school—or, in other words, educated at home under the supervision of a private school—are legally considered private school students rather than homeschool students. These rulings were important for families that turned to private schools rather than seeking state board approval for home study programs, but a uniform homeschooling law rendered them largely moot at the very moment they were decided. In the mid-1980s, several homeschooling families approached the CDE about adding curricula to the state-approved list. In 1985, the State Commissioner of Education, Cal Frazier, made use of these connections to create the Colorado Home Schoolers Advisory Committee (CHSAC), which would meet with the CDE. Shortly after this, in 1986, a number of homeschooling parents formed the Colorado Home Educators’ Association (CHEA) and began advocating for a homeschooling law. Senate Bill 138, the result of efforts by a number of homeschooling families, was introduced to the legislature in 1987. It passed the senate but did not pass the house as a bipartisan group of representatives worried that the bill provided parents with too much freedom and did not provide enough safeguards to ensure that homeschooled children would receive an adequate education. That same year, CHSAC’s efforts paid off and the State Board of Education revised its requirements with a set of “Emergency Rules.” These new rules allowed parents to chose their own curriculum and removed the requirement for approval. Instead, the rules required parents to notify their local school district annually of their intent to homeschool; keep attendance, testing, and immunization records; provide 688 hours of instruction each year; offer a “basic academic program of sequential instruction” including math, science, social studies, reading, writing, and spelling; provide an annual outline of educational objectives and instructional materials; and have their children tested at the end of each year, with a minimum score of the 14th percentile. A number of homeschooling parents were still dissatisfied. Some felt that the requirements were still too strict while others worried that if the composition of the state board changed more onerous requirements could be enacted. These homeschoolers continued the push for legislation. When Senate Bill 56 was introduced in early 1988, debate was contentious as some lawmakers raised concerns that the law lacked accountability and might allow parents to hide child abuse while other lawmakers argued that education was the responsibility of the parent, not the state. The bill was amended in response to concerns—a testing requirement with a minimum score was added, along with a requirement that parents keep records to be viewed by the school district upon probably cause, and parents were required to notify school officials 14 days before beginning to homeschool. Senate Bill 56 was signed into law on May 10th, 1988, and has now been in place for well over two decades. Several smaller laws affecting homeschooling were passed in the early 1990s. A 1993 law opened public school extracurricular activities to Colorado’s homeschool students. In 1994, Senate Bill 4 changed a few small points in the state’s homeschooling law and allowed homeschooling parents the option of having a portfolio of their children’s work evaluated by a “qualified person” rather than having their children evaluated by standardized testing. While Colorado’s homeschool law has been in place nearly unchanged for well over two decades now, not everyone is pleased with this status quo. In 2008, the Delegate Assembly of the Colorado Association of School Boards passed a resolution in favor of improving the state’s homeschool law. In their resolution they spoke of shortcomings in the current law and some of the problems that can stem from these shortcomings. CASB supports legislation that holds parents of home-schooled children accountable for their child’s reasonable academic progress and urges the Colorado General Assembly to enact meaningful education standards for home-based education programs and other measures, including notification to the student’s home district of a home school program and record-keeping requirements. This would facilitate collaboration between the home school and the school district in which the child resides in order to best meet the child’s needs. Rationale: Home schooling is a viable alternative to available education opportunities and many parents provide an exemplary education for their children. However, school districts have also had experiences with home-schooled children who re-enroll in public school that indicate some children are not receiving appropriate educational services through their home-school experience. It is important for the state to reexamine its accountability program for home schools. The current requirement that home-schooled students only need to meet the 13th percentile on a nationally-standardized test in order to remain in a home-based education program is not sufficient. Annual testing would provide an accountability framework comparable to public schools. Annual test scores would also be helpful if the child chooses to re-enroll in a public school so the school can determine an appropriate placement. For a variety of reasons, it is important that a home-school family provide notice of intent to home school to the school district in which the family resides. Providing notice locally establishes eligibility to participate in sports and activities and is a good first step to facilitate collaboration between the home school and the school district. Colorado has also seen to a number of high profile fatalities in homeschooling families, along with cases of sometimes-horrific abuse. Some school districts today do little to enforce the requirements of the homeschool law, and the provision that allows parents to send their notice of intent to any school district in the state rather than to their local school district can make the law difficult to enforce. Finally, at least one “private school” exists only to enroll homeschooled students without itself providing academic instruction. Its legality is questionable. For more on homeschooling in Colorado, see Colorado.